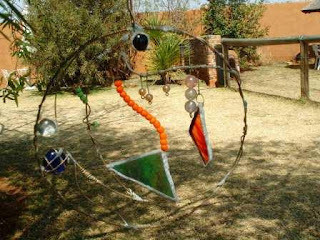 Mirrors and CDs' reflective surfaces attract birds and are fun in the sunlight. 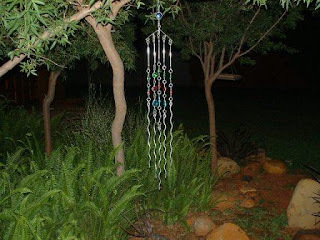 Make mobiles and hang from tree limbs! 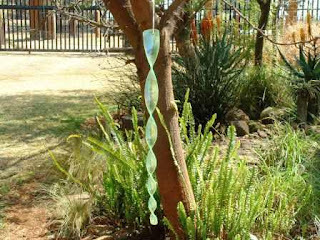 This year I've decided to add some interesting elements to my garden, and besides little features on the ground, using the trees to display garden ornaments is a great way to add interest to some dark corners. 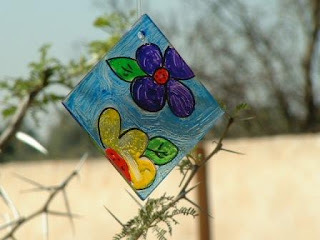 Painting with glass stain on pieces of glass look very colourful as they sway in the breeze. 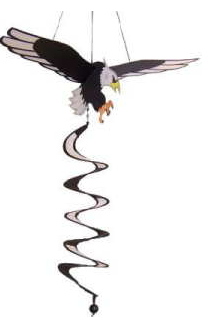 You can, of course, also make real stained glass mobiles to hang from a tree. 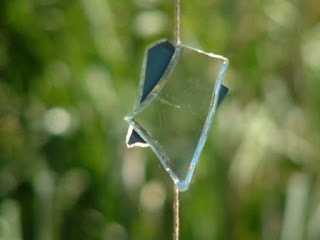 Broken mirrors can be found in the trash and snatched for use in your garden. Glue with mirror adhesive to fences, garden sheds, and anywhere you want to make a space look larger. 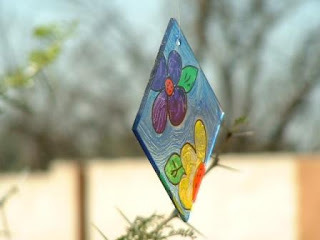 Use the pieces in a loose mosaic form and you have a one of a kind piece of art! 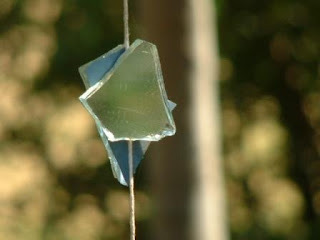 Here I have glued some broken pieces to a piece of string and they make little pools of light in the shade as the wind blows them to and fro. 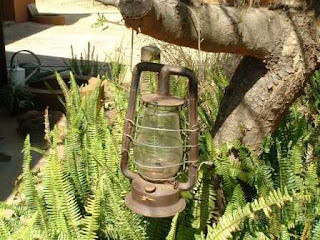 Any broken lamps, light fittings and candle holders look great hanging from the trees or standing on old logs. Glad you liked it Liz!